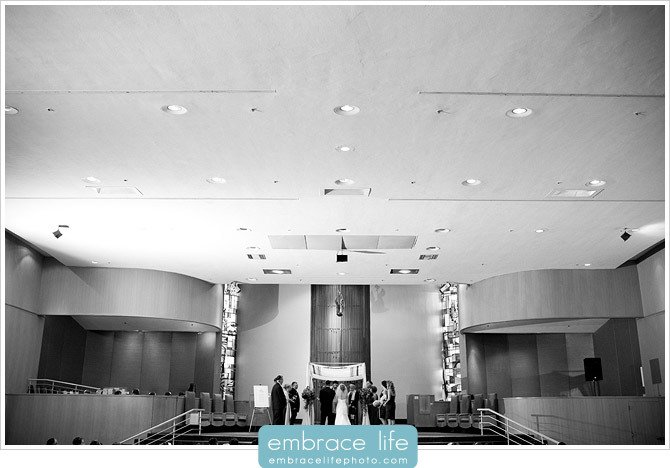 Carly and Ben’s wedding took place at Valley Beth Shalom in Encino. This synagogue is HUGE! 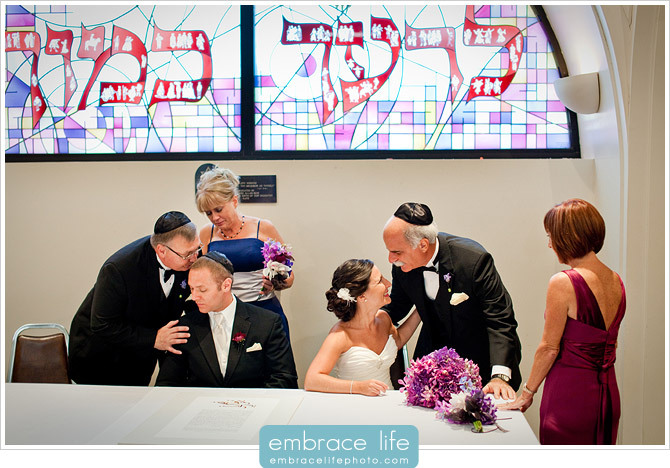 The ketubah signing, cocktail hour, wedding ceremony, and reception all took place in different rooms inside of VBS and there was an outdoor garden area for the portraits. My favorite part about Carly and Ben’s wedding was just how much fun they all had together and how much the love between Carly, Ben, their families and friends was evident throughout the day and night. If you missed their Getty Villa engagement portraits, check them out, too! 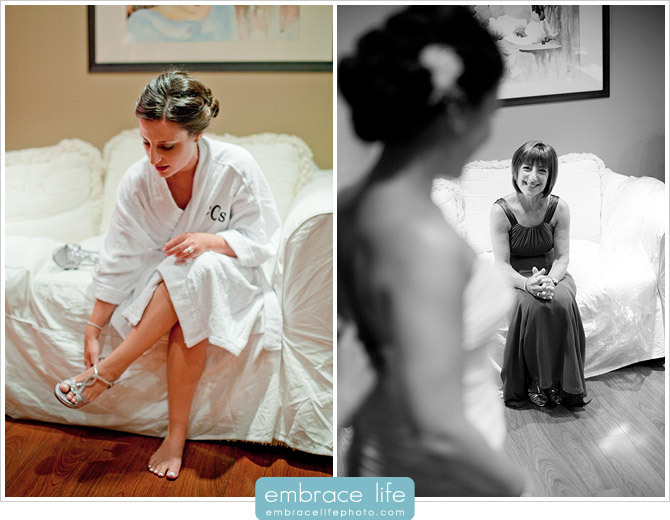 I love the old Hollywood glamour feeling of these portraits of Carly taken inside the bride’s prep room. 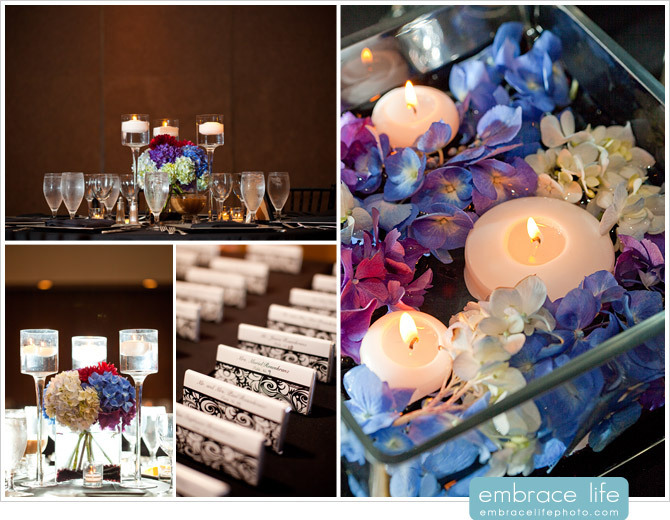 The gorgeous flowers were arranged by Jackie Combs Floral Design, who always does amazing work. This next image is worth taking a second to look at in detail. I just love the story it tells when you take the time to really look at it. Bob Gail Special Events provided the entertainment that kept the crowd dancing. Mazel tov, Carly and Ben! Many blessings and all the best! 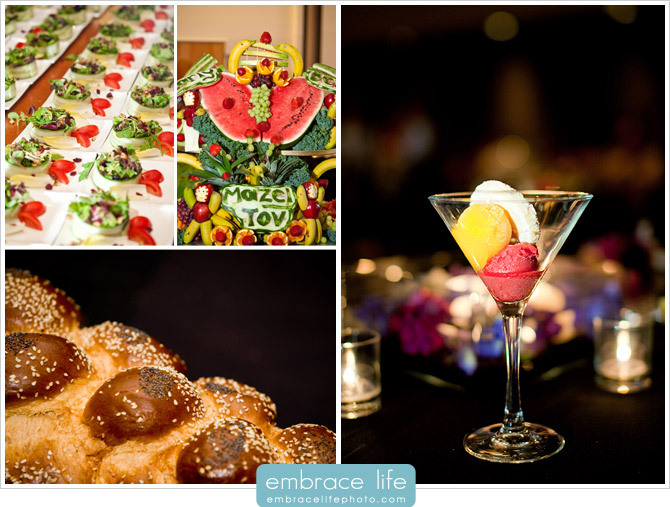 Thank you so much to Adam and everyone at Embrace Life! 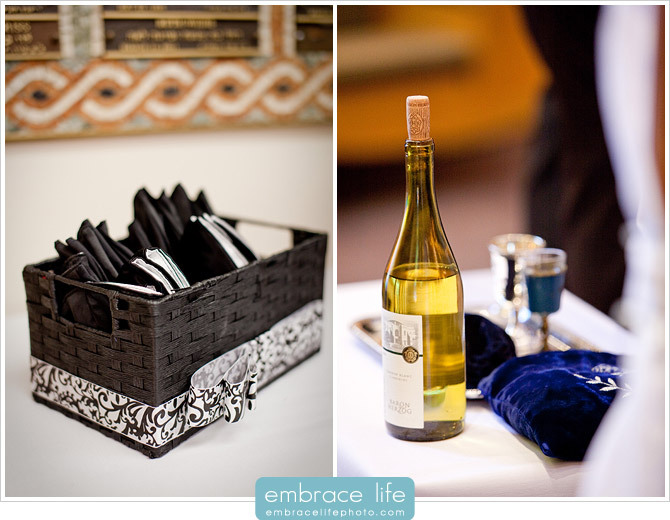 You guys were really able to capture the true essence of our special day! Each picture is so perfect (and that makes my album choices that much harder!)!! We can’t thank you enough!!! I think that my favorite photo is the one of grandma. Oh, and thanks for making my calves look good! I just have to say that these are the most beautiful wedding photos I have ever seen, and believe me, I have seen A LOT lately! It seems like every week someone else is getting married and posting photos. Honestly, these are GORGEOUS photos. You do fabulous work. I only wish I lived in California so I could recommend you and even use you someday! You have captured the beauty and essence of the wedding. The portraits are especially moving. Congrats Carly and Ben! 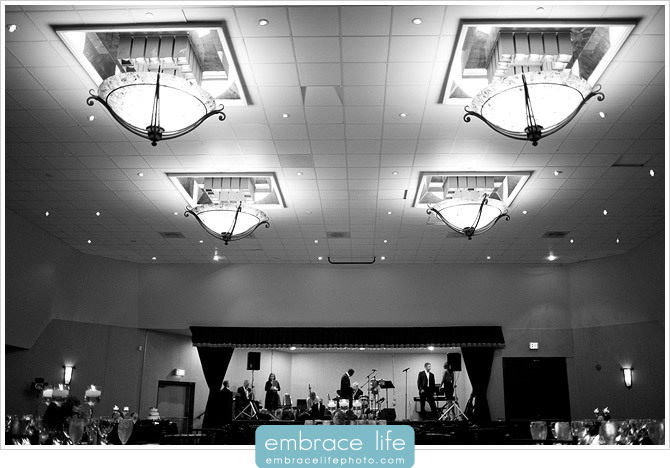 Amazing job Embrace Life – if I’m ever in California and getting married, I will DEFINITELY look you guys up! 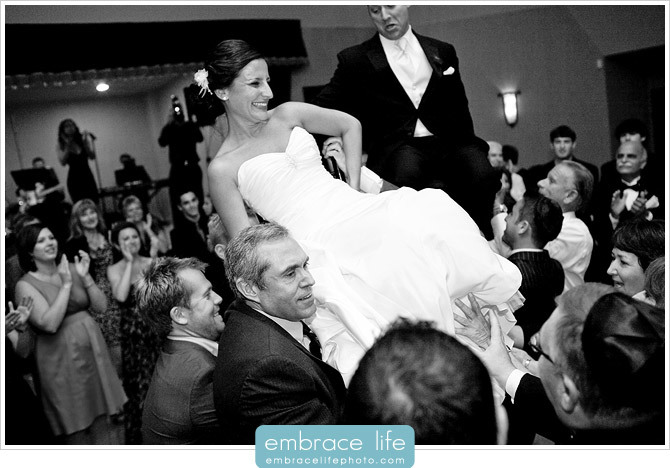 These photos are definitely at the top of my list of wedding photos! They are absolutely beautiful. Perfect photos! My favorite is the one of Carly with her dress laid out so beautifully behind her. It reminds me of a photo from my mother’s wedding; very retro. These pictures all look great! 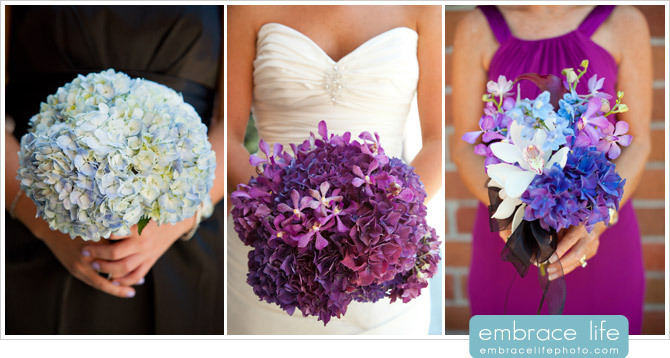 The colors are all so vibrant and beautiful! 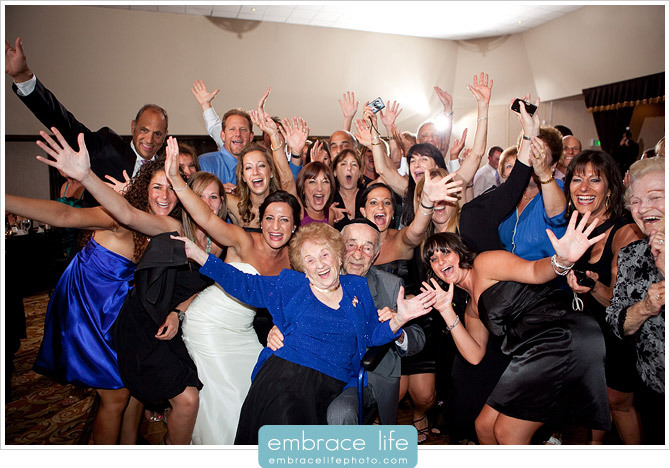 Great job by Embrace Life, I wish we had been able to have some family photos taken! 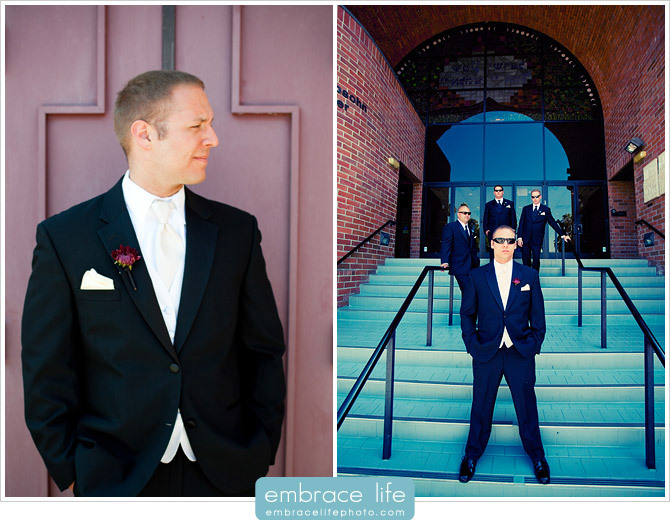 Some of my favorite wedding pictures ever! Beautiful photos! The pictures taken outside have such bold colors. They turned out great…looks like a fun day! Wow you guys look great. I thought the photographer did an awesome job!!! I wish they were here in Nebraska!!! What a beautiful wedding! 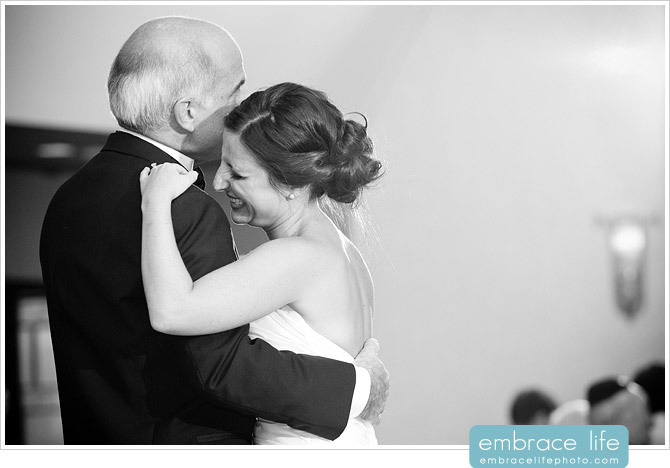 You were a stunning bride – the pictures are fantastic. I can’t wait to see more of your special day!! I love these pictures — beautiful! I wish the photographer was around when Mike and I got married years ago! 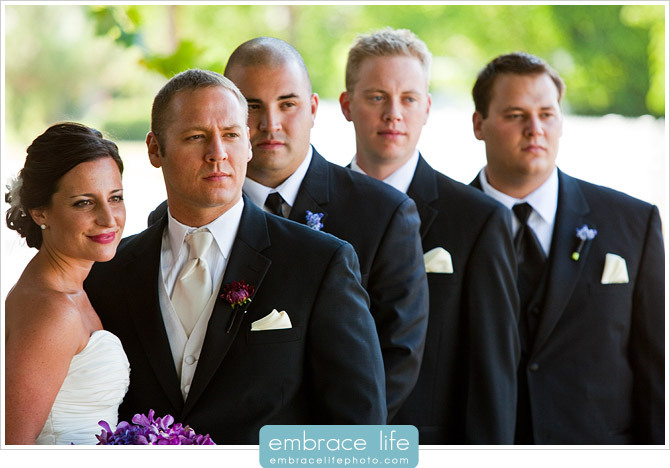 Beautiful pictures that will give the bride and groom a life time of memories! 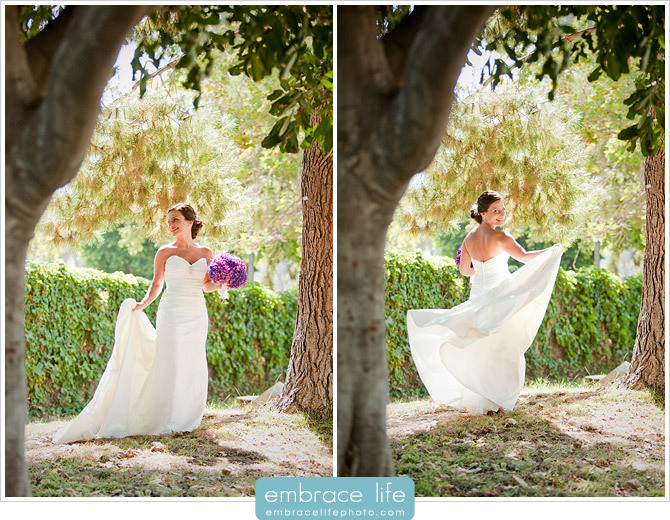 Wonderful pictures Carly, congratulations on your wedding, you made a stunning bride! It’s hard for me to admit this, given that both Carly and Ben are Chicago Bears fans, but the pictures look great! great eye, beautiful photography!!! 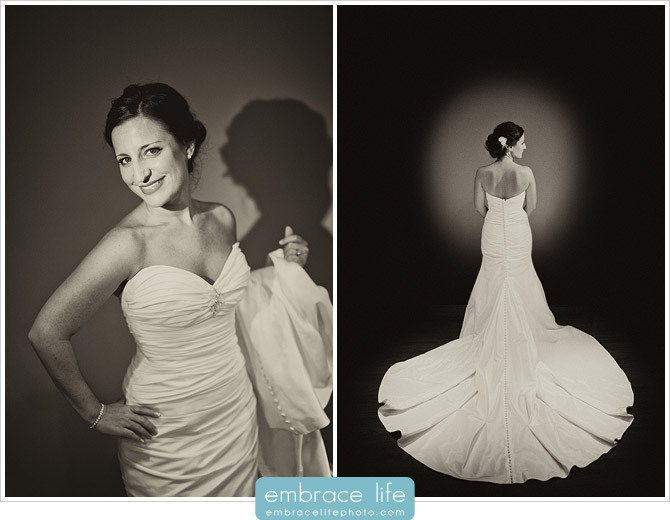 I love the photo’s of the bride at the beginning in b&w. Carly and Ben look amazing! Adam- great job (again)! The photography is beautiful. 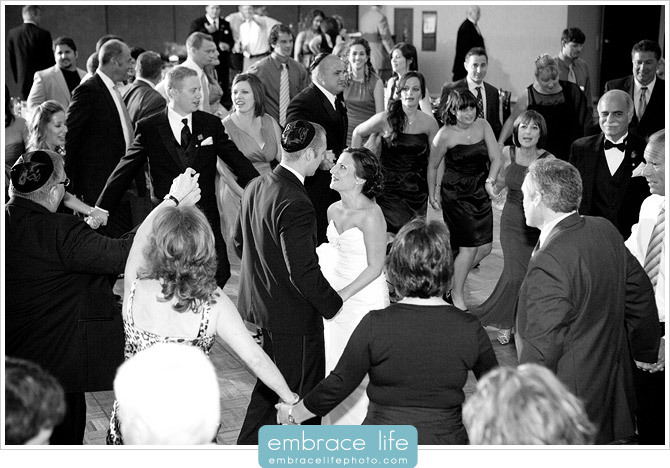 These pictures really tell the story of Carly & Ben’s wedding!! I especially love the family photo at the end! 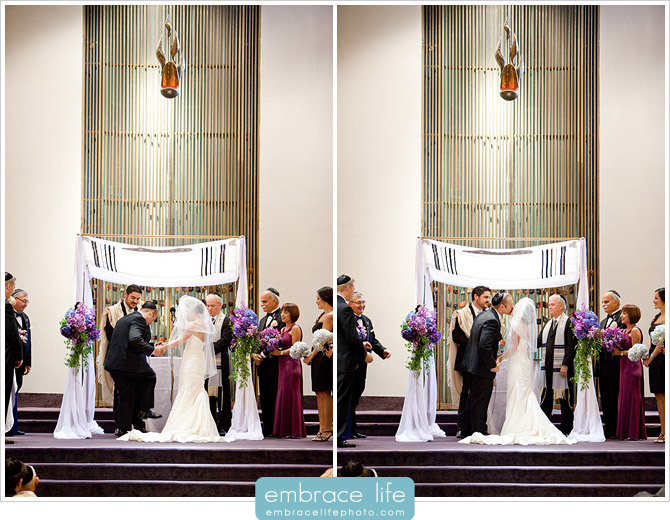 Beautiful pictures of a beautiful wedding!! Your photography is outstanding.I will treasure these pictures forever. 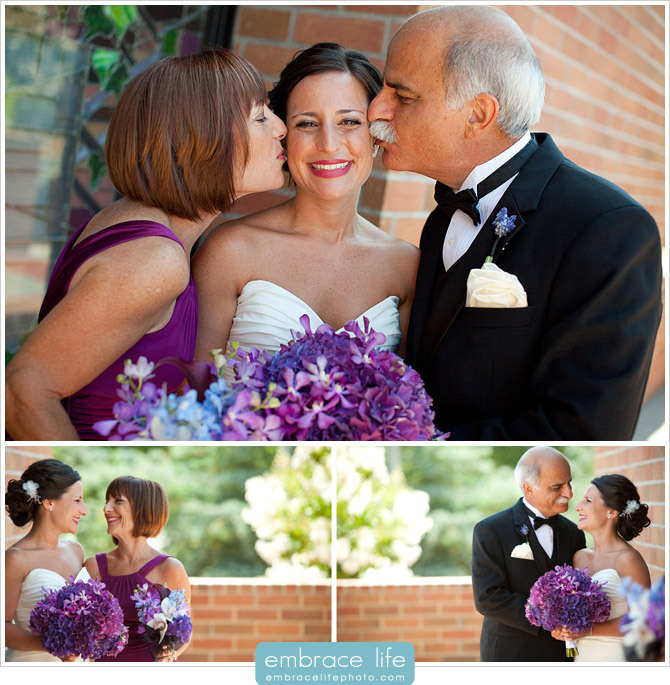 Beautiful couple, beautiful wedding, beautiful photos, great memories. So glad it was all captured so perfectly. Beautiful job on the photographs! 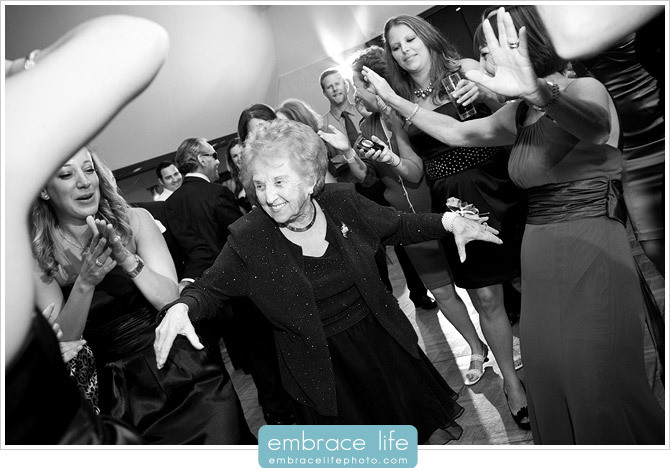 Portrays what a great time had by all at the wedding of a beautiful couple! What a beautiful couple! 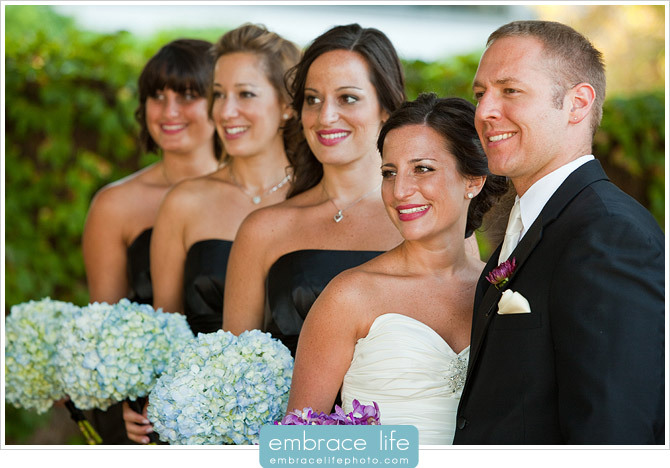 Carly you made a gorgeous bride, you are absolutely glowing in every photograph. 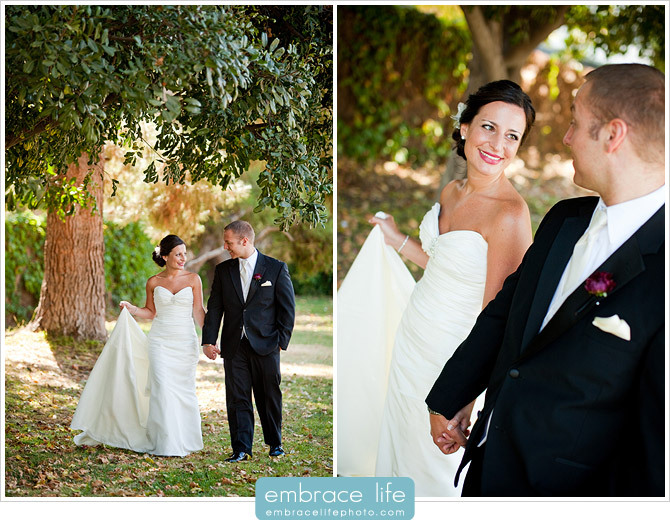 Amazing pictures and the one of the back of your dress, stunning! I Love it! Love it! Love it! Makes me want to get married all over again. ;) Thanks for sharing girlie & again Congratulations & Best Wishes to you & Ben. The pictures are fantastic!! Some are so original and interesting. The photographer really was able to capture the beauty of the day. Great job! !And of course EVERYBODY looks incredible. Absolutely gorgeous pictures! You really captured the radiance of the evening. Congratulations to you both! 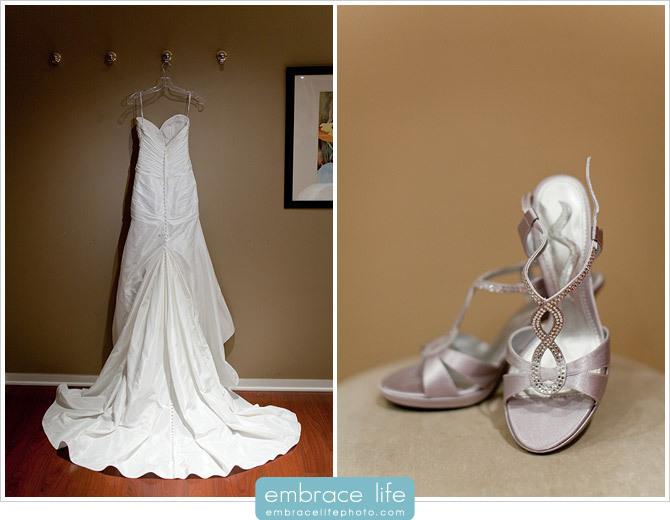 I love all of these pictures, but especially the sepia ones and the ones of just the dress and shoes. Wonderful pictures!!! It was definently an awesome event!!! These are the most amazing photos! 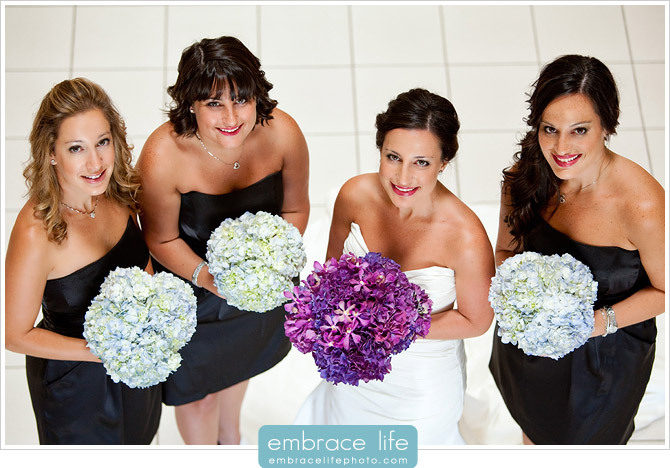 A beautiful bride, beautiful flowers…and what a great bridal party! carly, I am bad… I can’t pick one. I loved all the pictures – the way you were with your MOM and Dad and the special look of love in Ben’s Eyes!!! And of course Magda dancing is fatastic!!!!! Embrace Life strikes again!! Beautiful work Adam and beautiful wedding!! Carly: Absolutely amazing! Everything looked incredibly perfect- what a celebration. Your photos are stunningly gorgeous! I wish you guys the best and many many years of continued happiness together. 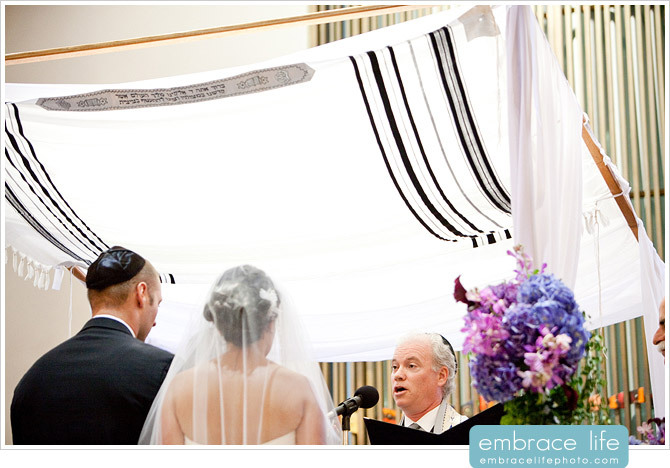 Mazel tov!!!! The pictures are all gorgeous. 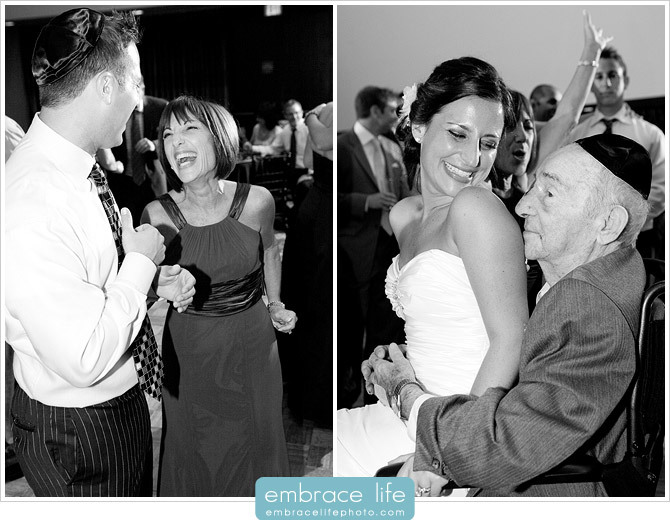 I especially like the B&W photos and the one of the family at the end!! 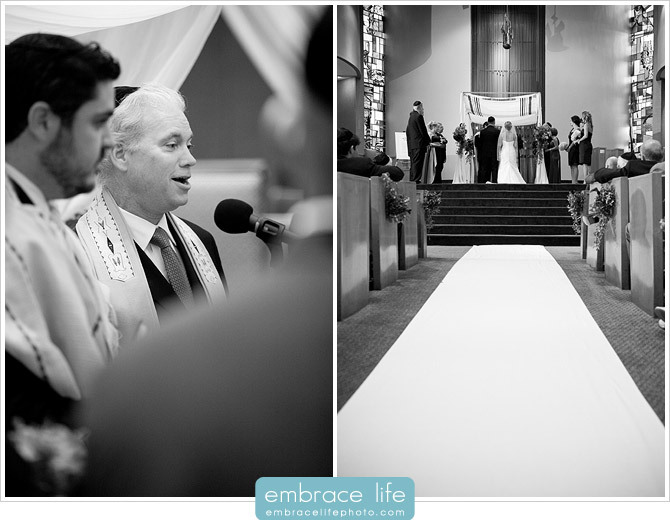 Love the photos and how well they captured such an amazing day for Carly and Ben.